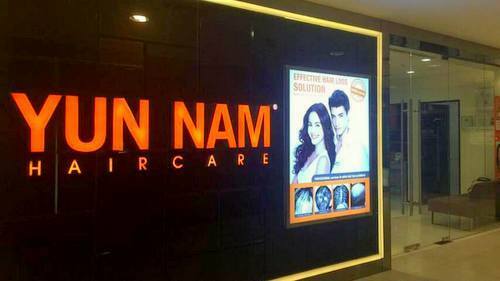 Yun Nam Hair Care salon has a network of nine locations in Singapore, including one within Plaza Singapura shopping centre (68 Orchard Road). Established in 1984, Yun Nam Hair Care provides a range of tried-and-tested herbal FASTGro Hair & Scalp Treatments for hair loss and scalp health. For the treatments, Yun Nam Hair Care utilizes innovative botanical-based products that address the customers’ hair loss and other hair-related problems. The products combine advanced hair growth technology with premium Chinese herbs, such as Dong Quai, Panax Ginseng, He Shou Wu, and Hong Hua, resulting effective solutions that aid in hair growth. The official Yun Nam Hair Care salon Facebook brand page is located at www.facebook.com/YunNamSG. Following the Facebook page, you’ll receive useful hair care tips, Yun Nam’s promotional offers, information on special events, and much more.